Turbo Island is a small triangle of land at the junction of Jamaica Street and Stokes Croft. Its existence is due to the destruction of the building that once stood there during an air raid in World War II. After the War, it remained a vacant plot, and an advertising hoarding sprouted there. This was given official recognition in the 1960s. The land in front of the hoarding became de facto a “public space”, which was privately owned. 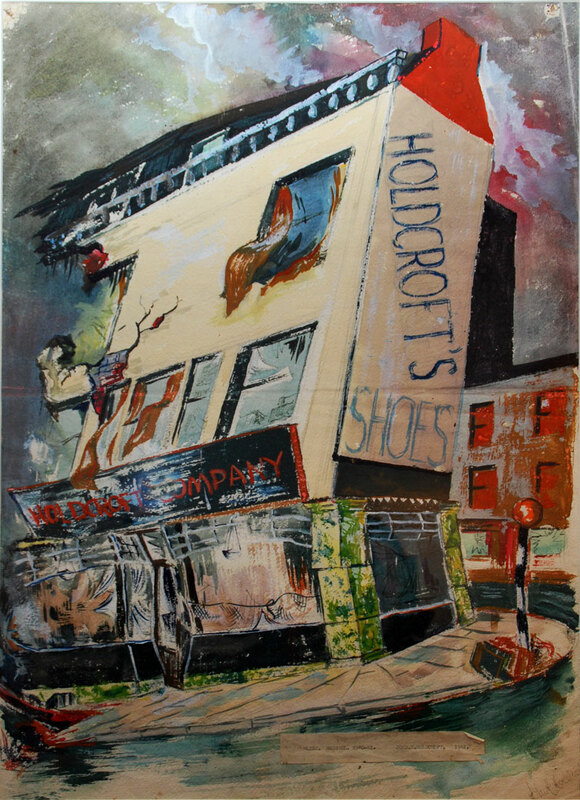 this anomalous status allowed it to become a haven for street drinkers, and its unkempt nature became a totemic symbol of Stokes Croft. TURBO ISLAND (Bombed during WWII). Painting by local artist. Turbo Island was sold by the then Avon County Council back in 1985 (ish) for around £35,000 to a company that rents adverising space to corporate advertisers. 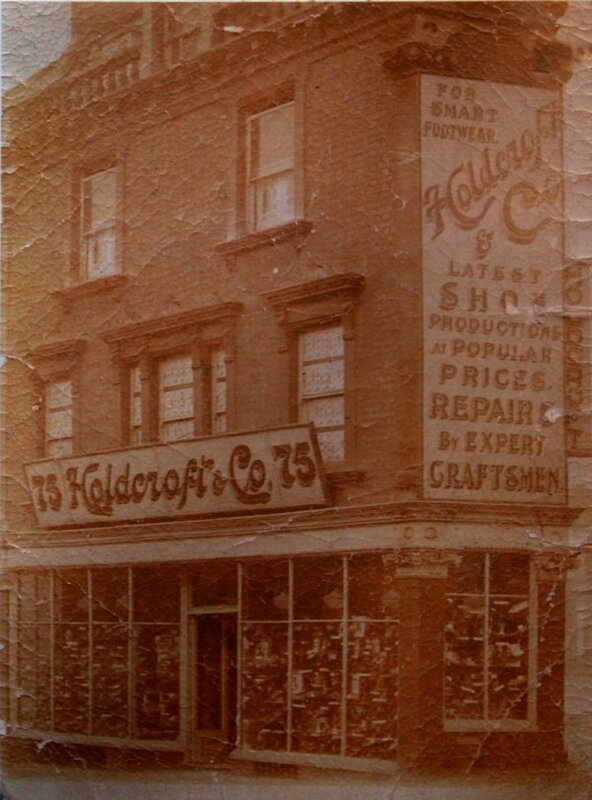 At that time Stokes Croft had been a Conservation Area for about five years. A short period of bliss in 2010 when no advertising occupied Turbo Island. Turbo Island. Painted by Sepr during the Stokes Croft Festival of the Arts 2014. 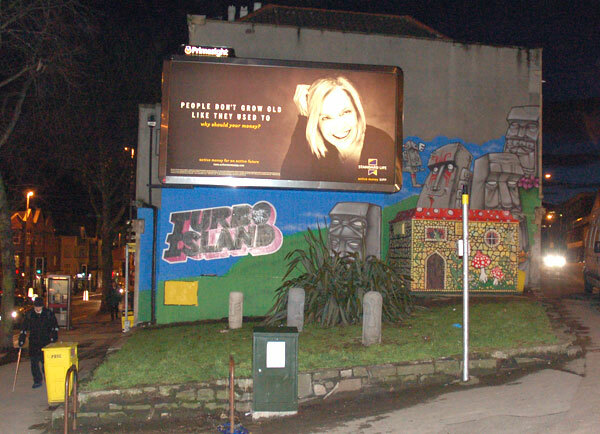 In an area renowned for its independence, and for its street art, advertising hoardings are inappropriate. 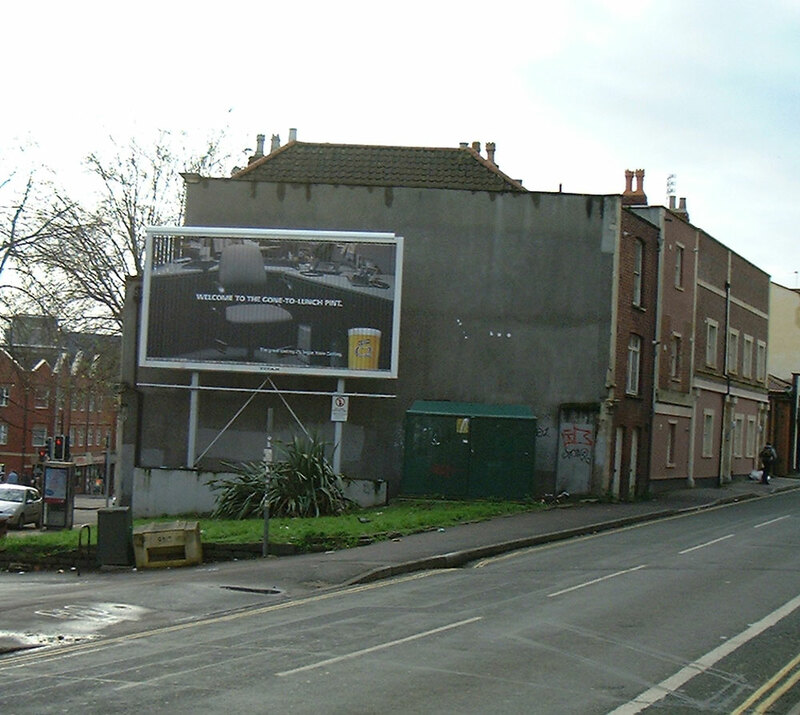 At the corner of City Road and Stokes Croft, relentless campaigning led to the removal of an advertising hoarding. 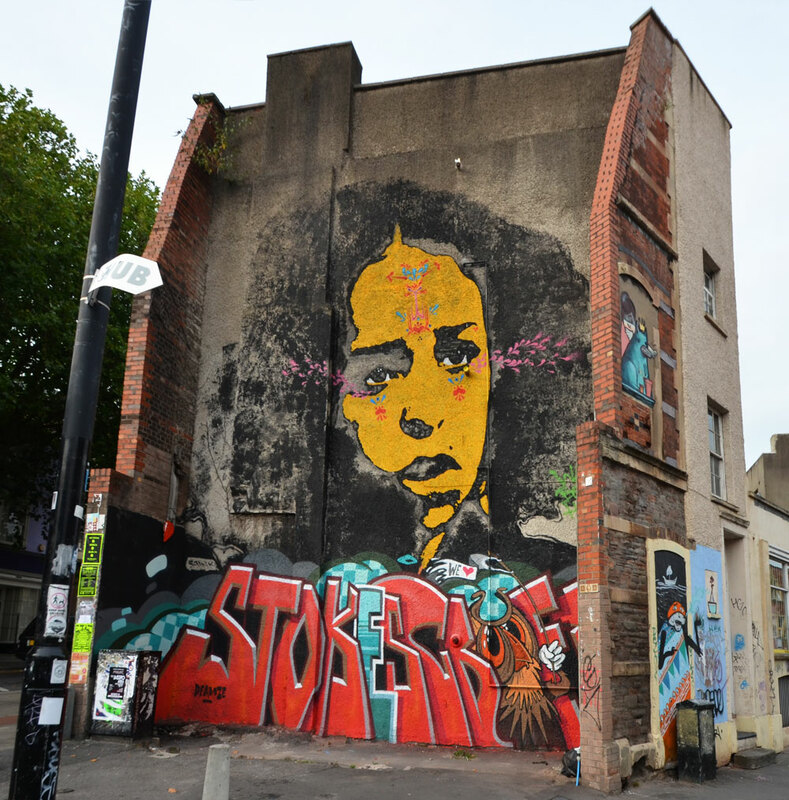 It was replaced with a mural that celebrates Stokes Croft. Upper elevation by Stinkfish, who hails from Colombia, and Deams who supplied the letters. In 2014, PRSC applied to European Green Capital 2015 for a grant to commence the process of buying back Turbo Island for the Community. It did not win. Below is the content of the bid. Turbo Island is the piece of land on the corner of Stokes Croft and Jamaica Street. 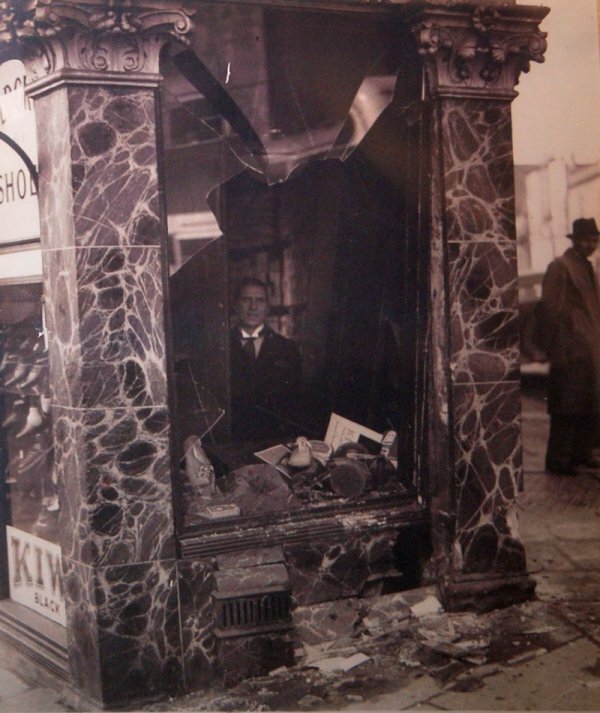 Bombed during the war, it was used for advertising hoardings since the ’50’s. In around 1985, the then Avon County Council sold this land to the advertising company for £32,500, FIVE YEARS AFTER STOKES CROFT WAS DECLARED A CONSERVATION AREA. 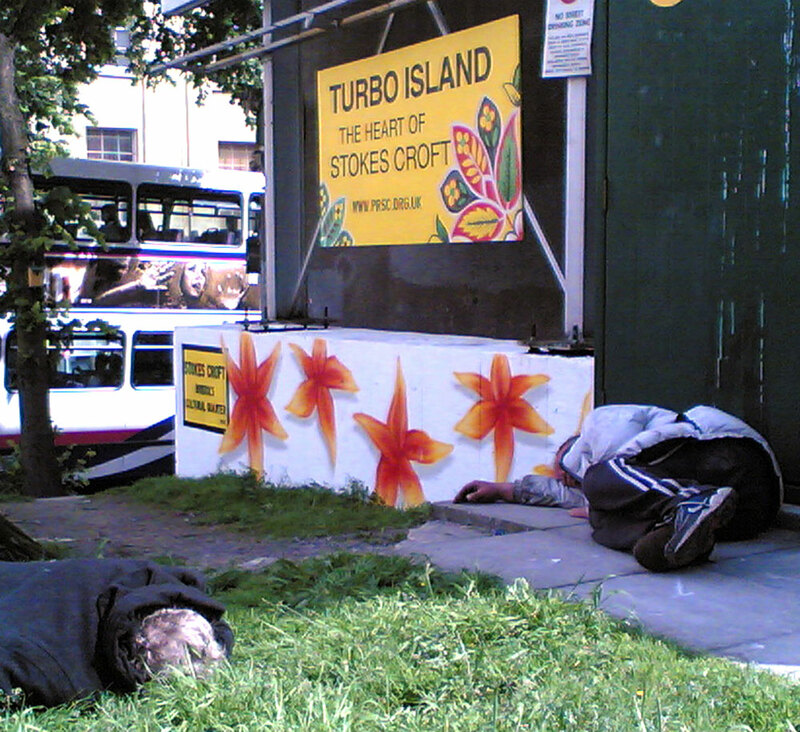 The land in front of the hoarding was of no interest to the advertisers, and remained a wasteland, largely inhabited by street drinkers and drug addicts. In 2007 PRSC started to make good, floating the then patently absurd notion of Stokes Croft as a Cultural Quarter. Seven years later, the landscape is very different. 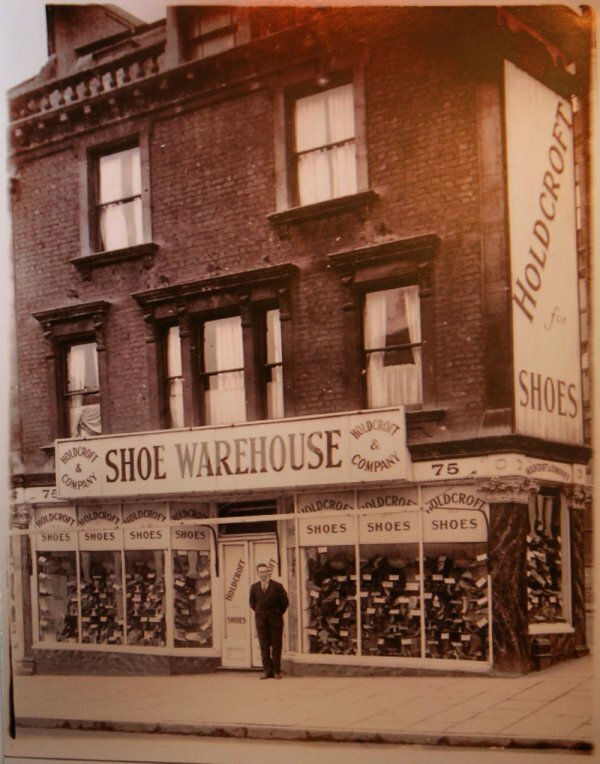 It is time for this property to come back into community ownership. If you look at the images below, it is hard not to agree that the Community has earned this right. The West Country philosopher John Locke(1632 –1704) in his Second Treatise on Government, asked by what right an individual can claim to own one part of the world, when, according to the Bible, God gave the world to all humanity in common. He answered that persons own themselves and therefore their own labor. When a person works, that labor enters into the object. Thus, the object becomes the property of that person. By this measure, there should be no argument. However, the rules are not so simple, unfortunately. This space is a cultural hotspot. It is the perfect place to launch a campaign to remove advertising hoardings everywhere. The symbolism is massive. There are compelling reasons to make up for past sins, and the taking back of control of public space and visual amenity needs to start somewhere. The timing is perfect too, as the owners have just applied for planning permission to replace the current board with an even more intrusive LED screen. This surely ticks all the environmental boxes, and has the potential to raise awareness of possibility everywhere. People in Bristol started a campaign in 2012. Time to revive this debate and make it happen. 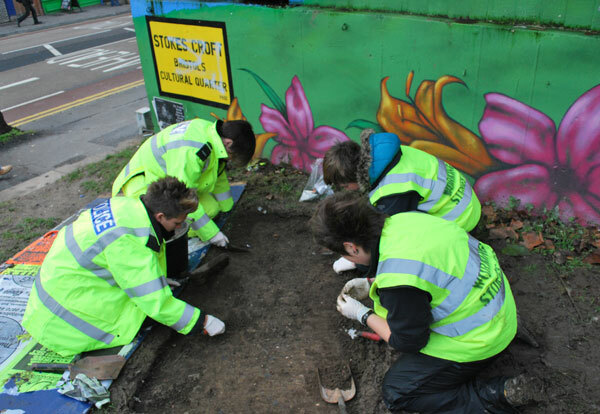 Where better to start this fight than here in Stokes Croft during Bristol Green Capital year 2015? If we receive the seed funding that we have requested, then we will start immediately to negotiate with the owners Insite City Investments with a view to purchase. The seed funding will give sufficient credibility to launch other funding bids and to initiate crowd funding. We have approached Stuart Wellman, company director, in the recent past, and he has indicated to me (Chris Chalkley) that his company would be in principle interested in selling at market rate. As soon as purchase is achieved, then all sorts of possibilities open up. Sorely needed public toilets are an option. 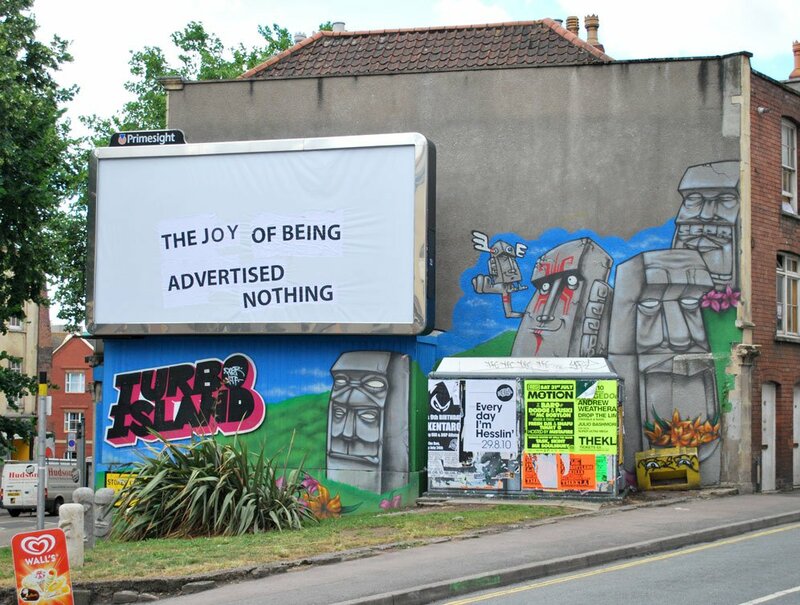 The advertising hoarding would either go, or be used as the basis for artwork. Walls could be repaired, and planting take place. There are already plans in place for guerrilla gardened fruit trees on this space. The real gain in all of this is that we start the campaign in a very real and concrete way, to remove outdoor advertising from everywhere. Our relationship with Stuart wellman is friendly. The likely market value of this spot is in the region of £300k. This is based on the amount charged by them to Primesite, the advertising company who pay Insite in the region of £25-30k p.a . It is thought that corporate advertisers pay in the region of £1500 pw for this site, which is a staggering figure, and indicates the value of advertising in keeping us all consuming merrily. The process of attempting purchase would in itself raise exactly the kind of debate a committed environmentalist would wish for. Add that to the visual debate that currently takes place here in the form of an outdoor gallery and you have a compelling story… which is exactly what we need. 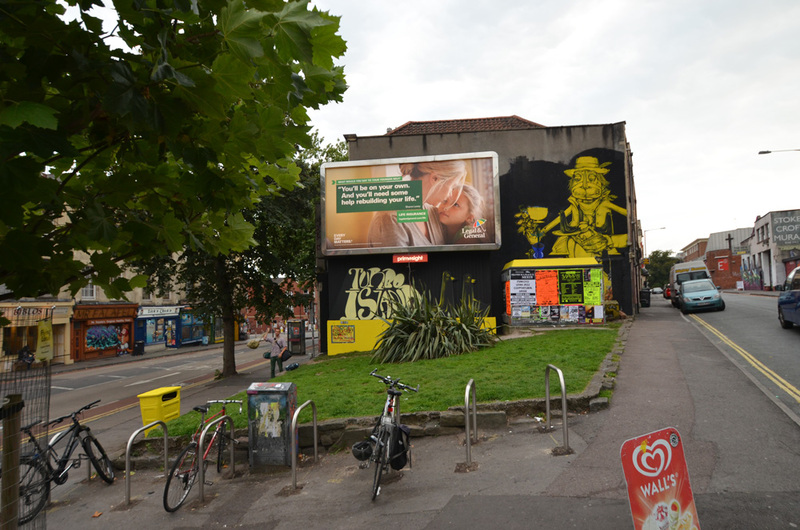 The central player in the purchase would be the newly formed Stokes Croft Land Trust, a nascent organisation that seeks to affect the destiny of the area through property stewardship, recognising as it does, that ownership is the only sure way for a community to have any control over its own destiny. PRSC has set this up as a co-operative for Community Benefit over the last year, so the vehicle is very much in place for making this happen. We would requir £50k as seed capital to put the wheels in motion, kept in trust by SCLT, repayable if the bid failed.